While it is always good to eat at home, but if you have invited guests at a party or holding an occasion, you might need to consider acquiring service of one of the best catering company in Dubai. Dubai Catering Companies not only provide a quality service, but also provide a range of food selection for you to choose from. From Chinese to Japanese & Continental, you will find all sorts of food varieties from the catering companies in Dubai. Planning a party for the holidays or desiring to be treated to an epicure cooked meal which satisfies your personal tastes is what we call a good catering company in Dubai. Following are the top Dubai Catering Companies, which covers everything from handling the stress of dirty dishes to party planning and full decoration. CityChef serves the culinary needs of leading establishments, cruise liners, international airline caterers and also caters to mega functions, large corporate events and private parties. It has a team of expert international chefs and modern kitchen facilities which makes it possible for CityChef to satisfy their client with culinary delicacies of huge diversity. Under CityChef is a brand called Freshmade which is a well known brand of sandwiches, platters, ready-made meals and pastries. Professional catering services are provided by CityChef to various institutions in Dubai & UAE from schools to meetings, events, seminars and labor camps catering. One of the leading catering in the United Arab Emirates is the Jumeirah Hospitality which is managed by Jumeirah Emirates Towers and ensures the facilities of any type of event from 5 to 5000 people. An event for high-status organizations such as Dubai Air Show Gala Dinner, Dubai Desert Classic and Dubai World Cup has been catered by Jumeirah Hospitality. Epicure catering and Health Factory prepare food using the finest quality ingredients and is renowned locally for this. It provides its services to a variety of clients including hospital, schools, receptions, cocktails and corporate events. A branch of this company called the Health Factory specializes in health food for those who prefer a healthy lifestyle. For healthy food, Epicure is a recommended catering company in Dubai. Catered to individual requirements and tastes, Empire Events create unique events. It is a special production and events management company. It is renowned for planning, producing and conceiving some of the region’s foremost social and corporate events as well as weddings. For a special gathering with family and friends, Empire Events also offer in-house catering in Dubai as well. Catertainment is a leading provider of event industry. Everything you need for a corporate event, private party or a wedding is arranged completely by Catertainment. The company also provides excellent catering services in Dubai to according to the desires and tastes of individuals and also specializes in modern and elegant décor for your events. 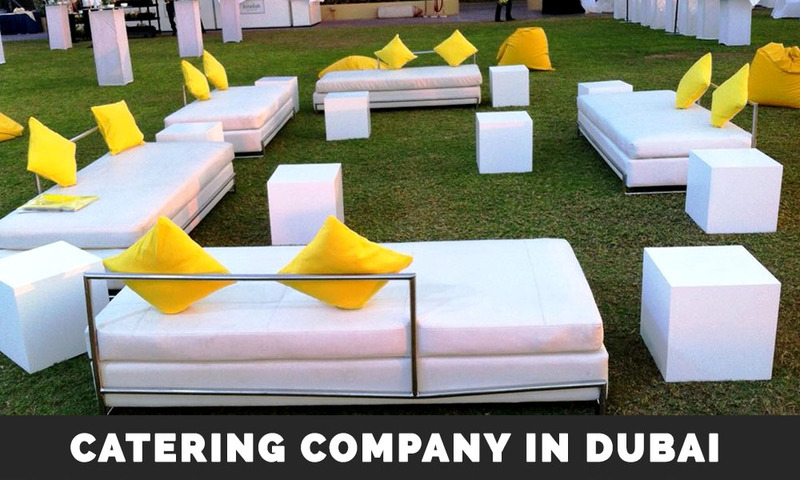 Dish has catered and organized high profile functions ranging from 20 to 2000 people since its opening in 2008. Dish is recognized for its spectacular events and its modern cuisine and it is a dynamic leader in the top catering business. It delivers the highest standards, within budget and on schedule providing service with a personality and food that is worth a try. A personalized catering service in Dubai is offered by Appetite catering which is tailor-made. For any occasion, they offer a delectable range of minus whether you want just sandwiches or a little bit of everything. From small office lunches to large gatherings, private parties, yachts are chartered by Appetite Catering and Events. Not just good food, but they also provide you with a large range of equipment and staff to help you in anyway. It is one of the leading catering companies in Dubai and you can contact them through mail or call them to discuss your requirements. These are some of the catering companies in Dubai, serving large base of customers for many years. If you want to recommend a catering company in Dubai or rate the service of above mentioned Dubai Catering Companies, please add comments & reviews below.